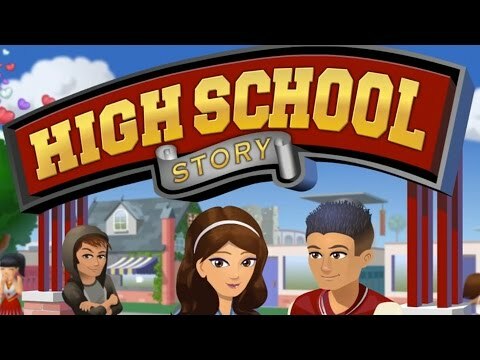 High School Story is a mobile video game released in September 2013, available in AppStore and Google PlayStore. The game was developed and published by Pixelberry and is a sister game story to Surviving High School. The genre of this video game is a simulation. The player is allowed to build their own high school full of classmates and friends who are the story drivers of the game. At the same time, you get to build your design of town and come up with the greatest city in the story-driven builder game. You can see the stories of your schoolmates and friends unfold and events occur. There are also great new dialogues that you can experience and enjoy. High School Story gameplay is quite strategic and immersive. It’s close in similarity to most other village building games out there. You are a student who attempts to come up with an own high school which doesn’t have a name. To be able to build up their school the game requires the players to first complete certain quests and sail through the story. They have to get Classmates whose categorization is done by cliques, get hangouts, and get their hands o plots. These plots are used for putting hangouts and many other decorations. You can customize your own appearance as well as that of students found in your school. The only characters that you are not able to customize their appearances are the game characters which include Payton, Autumn, and Julian, among others. To be able to acquire Plot and Hangouts, the player must acquire Rings and Coins. These Coins and Rings can be acquired through the completion of quests or they can be purchased by the use of real money that’s in your Store. You can also collect Coins from Hangouts. This is because every student in your school has to produce a certain amount of the coins every hour depending on the student’s level and type. As High School Story begins, you can choose your own type and gender. However, there are only three cliques, particularly that can be chosen from. These include Prep, Nerd, or Jock. Also, there are different types of the game such as Nerd, Jock, or Prep as well as those combined classmates such as the Cheerleader Student Government or Gamer. Other students can be gained through “Partying” or by buying from “Admissions”. To be able to unlock and acquire up to 30 characters, you can throw a party at the Party Central and pick the best characters you like. You can be the matchmaker for everyone in the school and even date that character that you’ve crushed on. There are many battles that you can engage in with a rival school. You can face one another at the Homecoming game, a prank war, and a science fair, among others. You can construct your dream school and spice it up by decorating it with a box of puppies and half-pipe among other available options. Generally, High School Story is a great building game that is worth every second of the gamer. Join the adventure and enjoy your game.